Rome is situated on the west coast of Italy, and is heaven to anybody with the faintest interest in history or historical architecture. 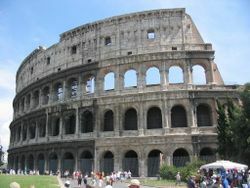 The place wasn't built in a day, and there is lots to see - from the Vatican to the Colosseum. Rome is situated in the Latinum region of Italy, of which it is the capital. See the obelisk from the Circus of Nero. St Peter's Basilica, and climb to the top of the dome and see the views. Sistine Chapel in the Vatican Museum. The Colosseum was inaugurated in 79AD by Titus, and was originally known as the Flavian Amphitheatre. Construction started around 70AD under the Emperor Vespasian. The Colosseum was used for public spectacles & gladitorial contests. The fountain was completed in 1762, after an architectural competition was held by Pope Clement XII for a new fountain in 1732. Built in 125AD, the Pantheon was originally a temple to the 12 most important Gods. I want to visit, and reflect on what all this building has seen over almost 2000 years. The dome's diameter is equal to its hight from the floor. 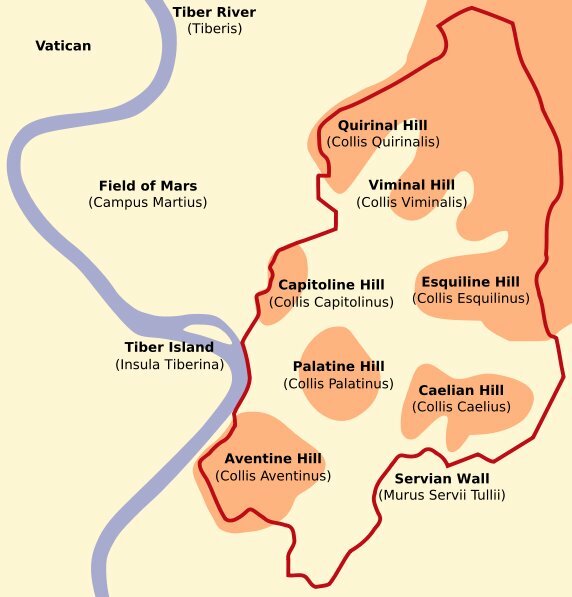 Originally built by Hadrian as a mausoleum, it was later converted into a Papal fortress. Take a lift to the top of the monument and get a view of the City. Temple of Venus & Roma (completed in 141AD, but damaged by fire in 307AD, it as restored by Maxentius). the Basillica of Maxentius (construction began under Maxentius in 308AD, completed by Constantine I in 312AD, it as at the time the largest structure to be built. Arch of Titus, constructed by the Emperor Domitian a little while after his brother (Titus) died (81AD), to commemorate the sacking of Jerusalem in 70AD. Curia Julia, the favourite meeting place of the Roman Senate. 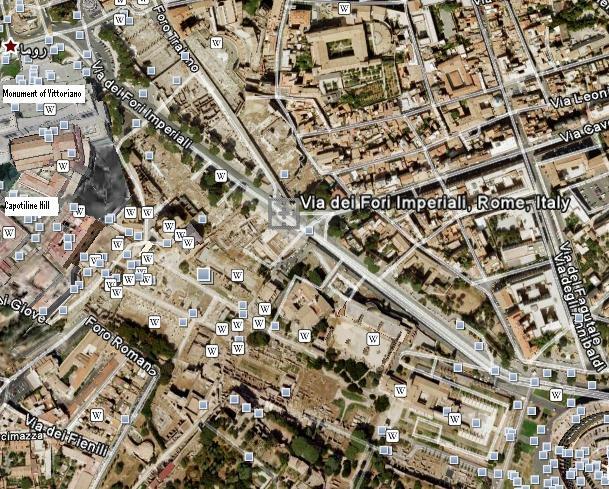 Originally the idea of Julius Caesar, the Curia Julia was completed in 29BC by Augustus. Arch of Septimius Severus, dedicated in 203AD to celebrate his Parthian victories. The arch is close to the foot of Capitoline Hill (the arch can be seen in the middle of this photo). 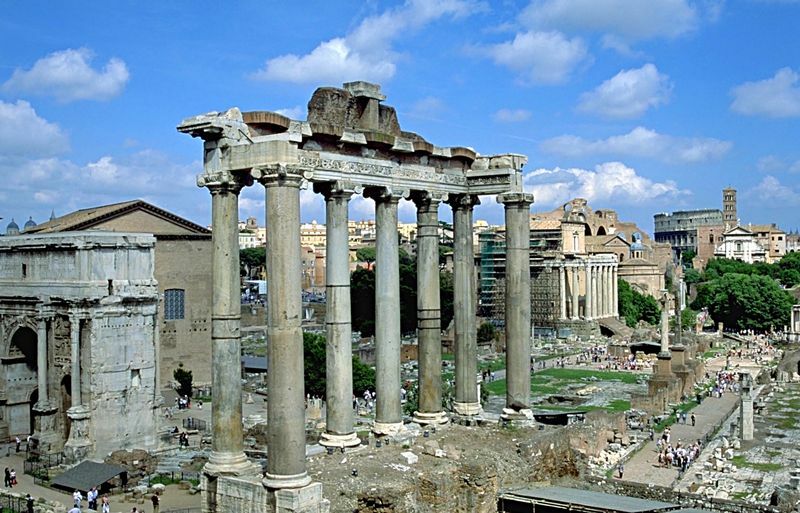 Temple of Saturn, completed around 500BC. Monument to Vittorio Emanuele II, the first King of the unified Italy. The monument was completed in 1935. Trajan's Column (Colonna Traiana), finished in 113AD, the column honours Trajan's victory in the Dacian war. It is topped by a statue of Saint Peter. Church of Santa Maria di Loreto, completed around 1580. Kari does Naples & Rome.